At Kindle we’re always looking for projects that take a new approach to existing problem. Peacemaking in many forms is also a perpetual interest of ours. We have supported an array of peacemaking projects over the years. For example, with the Salam Institute for Peace and Justice we saw how Mohammed Abu-Nimer took peacemaking from academia to the Middle East. With Be Present, we’ve learned how personal and social change stem from internal peacemaking. 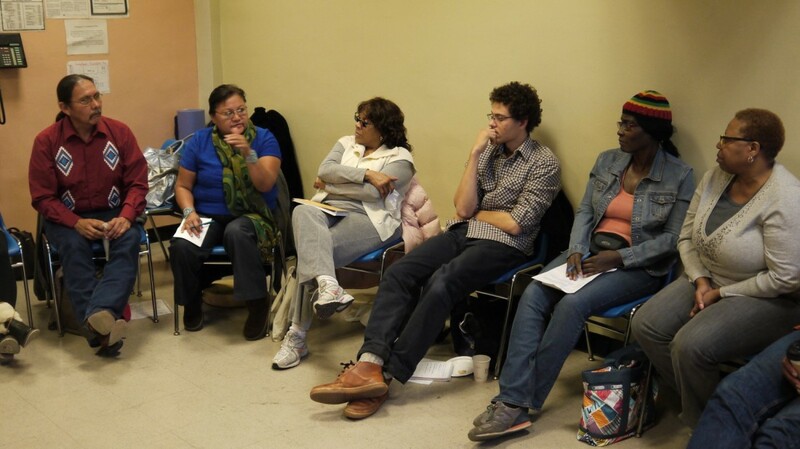 Now, with the Center for Court Innovation’s (CCI) new Peacemaking Program we’re learning how one organization is taking a traditional peacemaking approach and applying it to the court system in Redhook, Brooklyn. Meshing a Native American method of problem solving with the contemporary court system, CCI’s unique modus operandi intrigued us. How could this work? What judge would agree to this? Could lawyers really be trained in peacemaking? These questions were not skeptical in nature, but rather came more from a place of genuine curiosity. 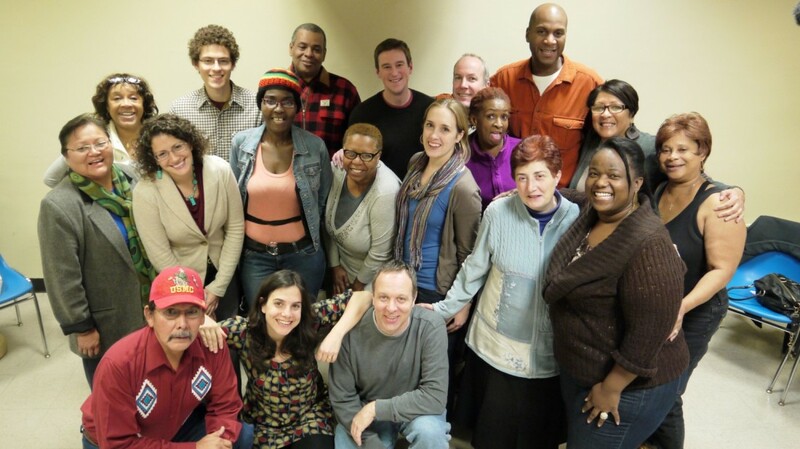 By training community members as peacemakers to offer their services to court cases involving young adults and teens, CCI practices this alternative adjudication process publicly, demonstrating a model of healing and community restoration within a system accustomed to models of power and opposition. With one formal process already underway, the CCI’s program is making big headway in the Brooklyn community. All involved participate on a voluntary basis, and this in itself an alterative model to traditional justice systems. Below, CCI’s Peacemaking Program Director, Erika Sasson, has shared with us her story of transitioning from being a criminal prosecutor in Canada to her current work spearheading this unique project. Erika’s words serve not only as testimony of how we can bring peacemaking into court systems, but also as a testament to how effective these methods are. This work is breaking the molds of what we imagine justice to be, and is reshaping them. I’m currently sitting in the Red Hook Community Justice Center in Brooklyn, N.Y. Once a catholic school, the building is now home to an innovative courthouse, one that specializes in applying new solutions to some age-old problems. One of the newest solutions we’re testing is our Peacemaking Program. It’s a Native American-inspired approach to conflict resolution that we’re using to resolve criminal cases. Our program came into being after years of work with Native American tribes in the United States, and through the mentorship and generosity of many tribal judges and peacemakers who encouraged us to pursue the study and implementation of peacemaking. Over the course of many months, we trained local volunteers to become peacemakers, and those volunteers are now working on their first cases. If the case has a victim (i.e. an assault between brothers or neighbors), our peacemakers will bring the conflicting parties together to discuss what happened and seek a consensus resolution; or, if it’s a crime against the community (drug sale, prostitution, etc.) the peacemakers work with the defendant to develop strategies for moving forward and out of a life of crime. At the start of each session, everyone is invited to share a light meal, in order to relax our participants and bring everyone together.¹ The peacemakers then open the discussion with a non-religious ceremony to set the tone, such as a moment of silence. The peacemakers ask questions in order to understand the incident, as well as the background and any underlying issues. Each person is given the chance to speak, and slowly the peacemakers help the participants move towards a concrete resolution by way of consensus. Peacemakers in Redhook, Brooklyn. Leader of the program, Erika Sasson is pictured on the bottom row second from the left. Although we’re just at the beginning of this journey, our peacemakers have already demonstrated the extent to which they have internalized the approach to peacemaking taught by our Navajo mentors, including listening, showing empathy, sharing personal stories and scolding when necessary. Our peacemakers are also committed to the notion that the solution must originate with the participants–defendants and victims–for it to be long-lasting. Although I find this work intuitive, my own path to peacemaking actually began in the conventional adversarial courtroom. My first job out of law school was for the Canadian federal government, where I eventually became a criminal prosecutor, mostly dealing with drug cases, and often involving small to medium-sized gangs, as well as guns. I worked in a very busy courthouse and learned to process cases as fast as I could. Even though the volume was tremendous, I was lucky to have a supervisor who instilled in her front-line prosecutors the importance of doing the right thing (as quickly as possible, of course). Spending days and nights in a courthouse, I learned about how we organize our society and the inflated role played by the criminal justice system. Many of us suffer from a host of social ills, personality conflicts, physical and mental illness, addiction, power and abuse, and somehow these issues are packaged and rolled up into a singular notion of crime, and sent to the courts to solve. Needless to say, our criminal justice system can only do so much. Despite the best of intentions, it is necessarily limited in the types of remedies at its disposal, and in its ability to penetrate the surface, especially given the high volume. In the course of prosecuting, I also learned about myself, and the kinds of interactions that appealed to me. I was, on the one hand, seduced by the power dynamics of the courthouse, especially the degree of power exercised by the prosecuting authority. But, as time went on, I began to seek different types of interactions with the people whose lives were being affected by our criminal process. The courtroom is designed for the prosecutor to speak directly to a judge, most often with her back to the defendant. I started to feel that like I couldn’t keep talking about someone without even making eye contact. I began to give my back ever so slightly to the judge, in order to face the defendant when speaking about her. I began to ask defense counsel to hear more about the people they were representing, and subsequent to sentencing, I would want to know how people were faring. I started to realize what a small piece of the picture I was getting, and I felt that the process placed too much emphasis on separation. Since joining the Center for Court Innovation’s Tribal Justice Exchange in 2011, I can finally incorporate into my work with the courts “an awareness of the connection between people.” Peacemaking is, in a sense, that different voice. It allows our communities to recognize the connections between people and the responsibility we have for one another. By seeking to respond as a community to the problems we share, to restore relationships that have been damaged by crime, to resolve problems using consensus, to focus on listening to the stories underlying the issues, we allow an opportunity for different types of solutions. Although I’m still a firm believer that the courtroom is necessary to establish boundaries for certain types of cases and offenders, I’m grateful to be working with a different voice. ¹ We are indebted to the Kindle Project for providing the funds to ensure we can provide food at each peacemaking session.